Hello, and welcome to my website empowered by ArtistShare! For those of you who are visiting for the first time, please cruise around and enjoy the numerous projects I've been involved with over the past years. For those of you who are waiting for new product, it's coming. I promise. It's been a wild and crazy few years of touring and playing more than ever, as well as baby raising and house building. I have a vat of live releases itching to be edited and released as well as some exciting studio recording ideas and educational materials. Please stay tuned as I'll be reaching out for fan support and interaction very soon. NOTE: To contact me directly about bookings, lessons, press materials, etc...click on contact in the bar below. 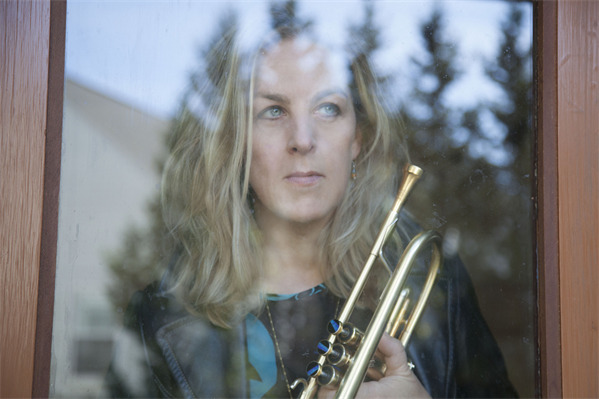 Ingrid will appear this year at the Monterey Jazz Festival with her own group as well as with saxophonist Tia Fuller as they pay Tribute to the late Geri Allen. Note: the CD comes with online newsletters, downloads, unreleased music and photo galleries.